Register Log In ECN Forum Forums General Discussion Area Main service circuit breaker or 6 feeder circuits? A service with a main distribution panelboard with a main circuit breaker and 6 or less feeder circuit breakers. Is the main circuit breaker redundant, a potential weak point, or a good idea? I have encountered this situation twice recently. One was a strip mall where the owner wanted to divid his largest space. This project became untenable, simply because of the work that would be required to separate / upgrade the electric for the new spaces. 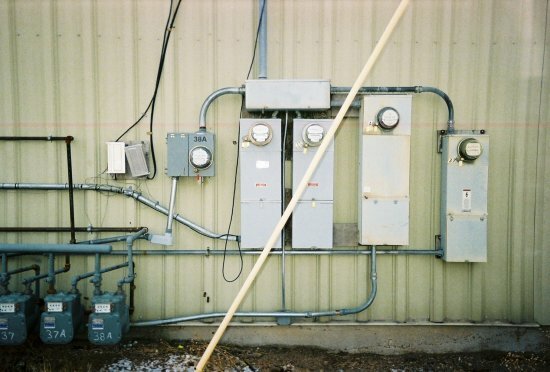 In building the strip mall, every trick had been used to keep the required meters / disconnects to a maximum of six - and adding the main disconnect that additional meters would have required in turn meant the wholesale replacement of the entire switchgear. In hindsight, it would have been far better had the main disconnect been included at the start. That's what happens when you use the NEC as a design manual! The other job was the opposite situation; I added a 'main' before just one service. Why? Because there are plans to add two more, and having the disconnectwill make the future work much easier to do. IMO, a good design allows for future uses, and makes provisions for future maintenance work. While a good design is almost certain to meet code, a 'code minimum' design may be poor design. I will echo what reno said, do a good design that is practical for now and plan for future. In my case it is a single owner building with the meter before the MDP. Right now 5 feeders out of the MDP. There is space for for a feeder circuit breaker large enough for any conceivable addtion. (that would bring it up to 6 if it ever happened). Is there any good reason to have a main circuit breaker in the MDP. First of all, that main disconnect is another place you can add a fuse - one way to keep track of problems. There's no way that feeder can supply everything to maximum load. Secondly, the main disco gives you a way to work on the system without having to cut the PoCo wires at the weatherhead. Last edited by renosteinke; 08/30/09 02:21 PM. What about the advantage of knowing what your overcurrent protection is by the size of your main breaker or fusing? Depends upon WHERE the main disco is located. If it's on the PoCo side of the meters, you won't have access to the fuses. 230.90 (A) Exception # 3. Allows the six disconnects to total more then the service conductors ampacity. (see calculated load requirements).